I hand hammered this sterling silver bar to give it a nice texture. 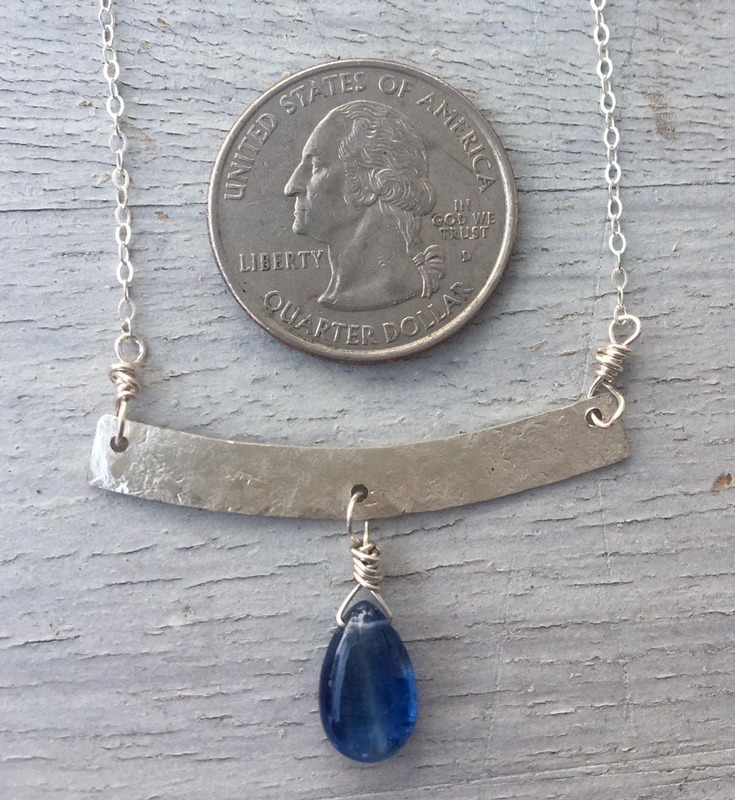 A tear drop Kyanite gem swings from this bar. 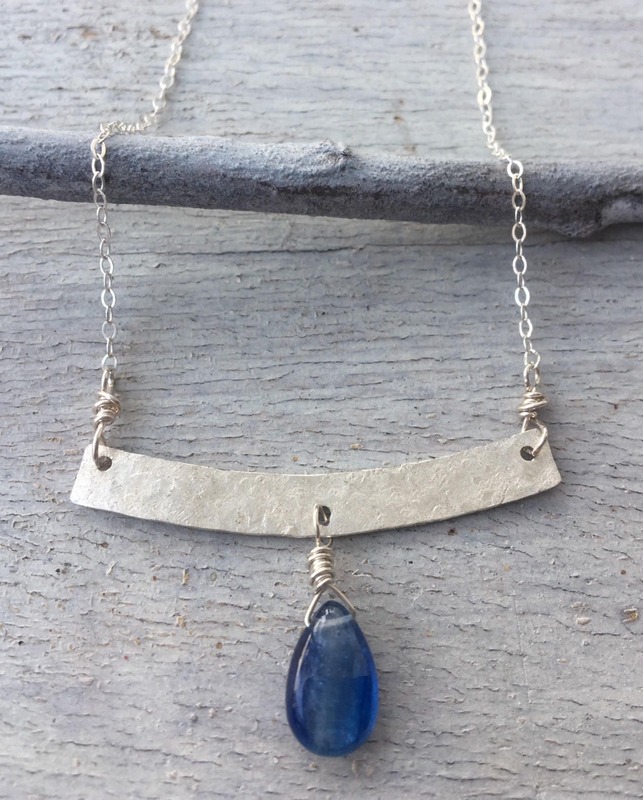 A sterling silver chain is hand wired to this hammered bar. 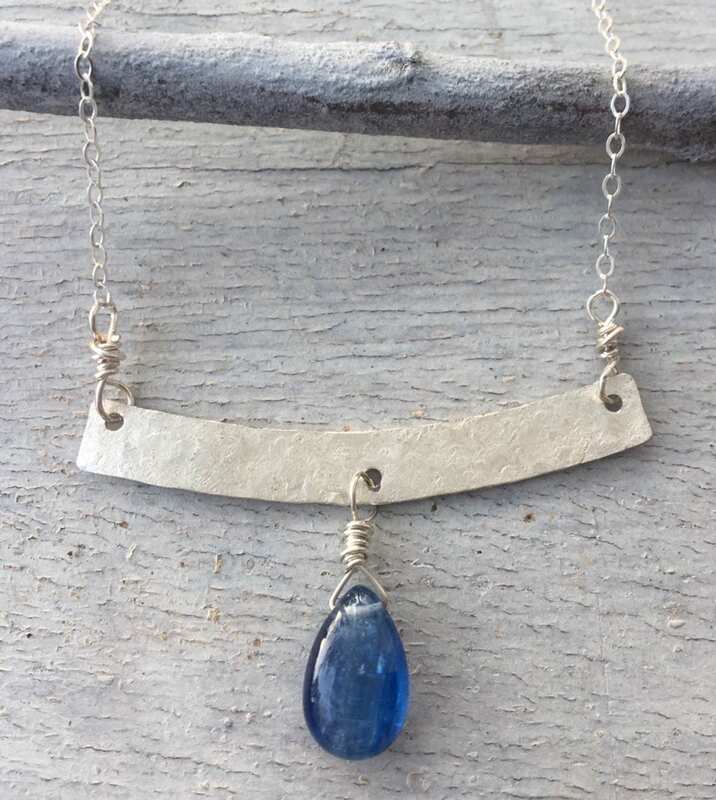 Necklace is adjustable. Measures 16 7/8" long + 2" extension chain.